Online flowers retailer hires in Oregon for at-home call center jobs on a temporary basis for seasonal employment. It does occasionally hire permanent (particularly bilingual), at-home call center agents as well. This financial services giant that employs remote call center agents with experience in reservation systems and travel agents to work in its corporate travel division. Bilingual agents also needed. 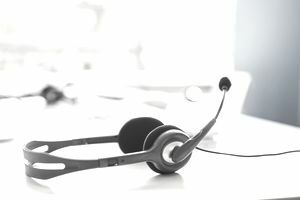 Call center agents based from home provide customer service for device replacement insurance in both full- and part-time work. Registered nurses are needed for these medical call center jobs from home. Agents are employees and paid approximately $25/hour. Jobs are full time, and overnight work may be available and/or required. This provider of voice, broadband and video services in 33 states employ home-based call center agents and pay around $10-11/hour. Bilingual skills are a plus. Internet retailer hires home-based call center agents in Oregon. Most jobs are seasonal. Search "work from home" in Amazon's job database. Jobs pay $10-12/hour. Car rental company offers remote call center positions for reservation agents for Enterprise Rent-A-Car, Alamo Rent A Car, and National Car Rental. On-site training is required. Call center training location is in Eugene, OR. Pay starts at approximately $11/hour. Outsourcing company hires independent contractors as virtual call center agents for customer service positions. Agents are paid at a rate that is based on minutes of talk time plus sales incentives in some cases. Agents must become "certified" to work for individual clients. This certification is not paid. Agents must pay for their own background check. The company provides remote tech support to clients, via home-based tech support chat and call center agents. Its remote services technicians answer inbound calls and its solutions center supervisors support and supervise the remote services technicians. Remote employees receive inbound customer service, and sales calls for a variety of this BPO's clients. They are paid for training, and once you start, you'll receive around $9/hour. Applicants who are offered a position must pay $45 for a background check. The hiring process for these call center jobs is online and by phone. Bilingual skills a plus; languages include Spanish, Mandarin, and Cantonese.